As part of its Dieselgate settlement, Volkswagen has been ordered to put $2 billion toward investing in projects that promote zero-emissions technology. It seems that super fast charging stations will wisely be the first leg of that investment. The $2 billion investment, named Electrify America, will start off by putting $300 million towards more plug-in vehicle chargers, reports Autoblog. They will be scattered throughout 39 states, hopefully filling in some of the much-needed EV infrastructure other automakers seem to be quietly ignoring. 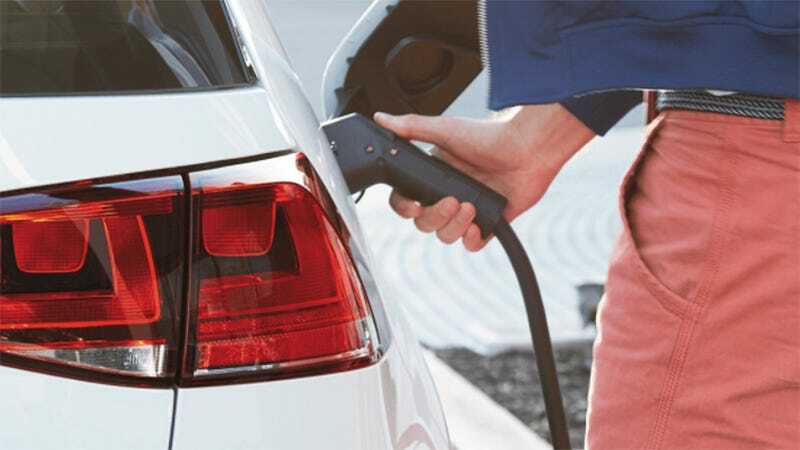 According to the Electrify America website, it will establish a network of over 2,500 non-proprietary EV chargers at over 450 station sites. About 240 charging station sites will be installed outside of California by the conclusion of the first cycle. They’ll be located along high-traffic areas outside of cities (including big, cross-country thoroughfares). Each location will also include between four and ten 150kW and 320 kW individual DC fast chargers. On average, the sites will be 66 miles apart but with no more than 120 miles. It will be designed to work with EVs with shorter ranges. On top of that, 300 community-based charging stations will also be installed outside of California retail places, apartment complexes, municipal lots and garages and workplaces. These will be in metropolitan areas like Boston, Chicago, Denver, Houston, Miami, New York City, Philadelphia, Portland, Raleigh, Seattle and DC. There will be a mix of chargers from 50 kW to 150 kW. If this all goes through smoothly, it should be a big step for the EV assault. Many buyers are still hesitant to make the switch because of range anxiety and the whole 100-years of spewing flammable liquid into a tank. Though Tesla has helped that by installing its vast supercharger network (for its cars only, though), it’s been realtively alone, so having more is still progress. Just don’t confuse this with Volkswagen doing it solely from the goodness of its corporate heart. They are being made to do it because they screwed up.